NeighborWorks® Lincoln (NWL) hired Sinclair Hille to design a new townhome and mixed-use development named Antelope Creek Village in the eastern portion of the Antelope Valley Redevelopment area. After the initial study, eighteen townhomes moved into Phase I and proceeded with design development, while the three-story mixed-use building moved into Phase II. 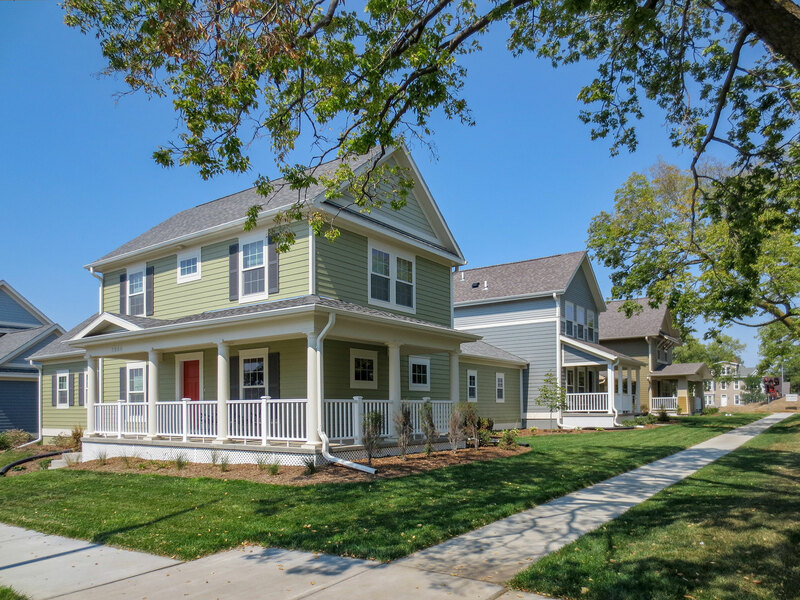 One of NeighborWorks® Lincoln’s core missions, sustainable home ownership, is enforced in this development as all homes are sold as owner-occupied properties. The townhomes, built three in a building, mimic the historic homes in the surrounding neighborhoods whose styles range from Colonial Revival to Queen Anne Victorian to Arts and Crafts. Three floor plan options provide two, two-bedroom options and one three-bedroom option. All have attached garages and two of the homes include basements. The exterior facades of the townhomes have a mix of brick and horizontal siding materials. 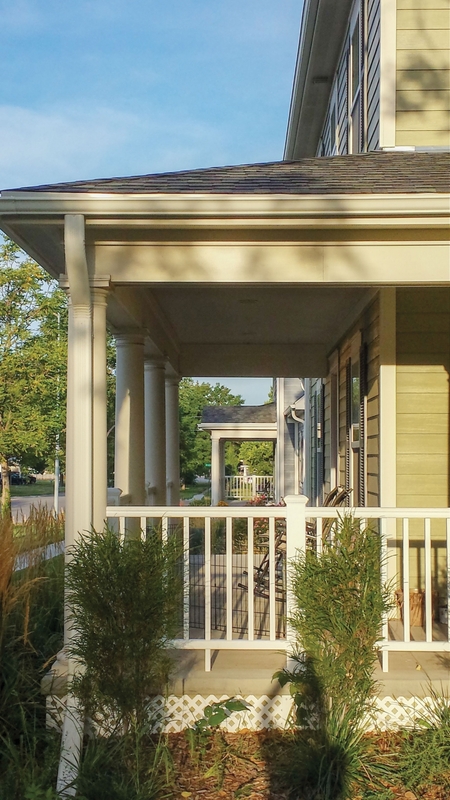 Front porches, prevalent on the adjacent neighborhood homes, were designed to be deep enough for a porch swing and add a welcoming feeling to each townhome façade. Motorists enter each garage located behind the homes via an alley and shared auto court that is paved with pervious concrete. Each home is served by a geothermal heat pump system and is designed for owner installed roof top solar collection panels. Phase II of the development will be the mixed-use building which will house office and retail on the main level and two-story condominiums on the second and third levels. NWL will relocate into the majority of the first floor office space and will adjoin a fifty-person capacity community room that will be available for the public to rent. A small fitness center for NWL staff and area residents will be located in the basement of the building as well as storage areas for each of the condominiums.